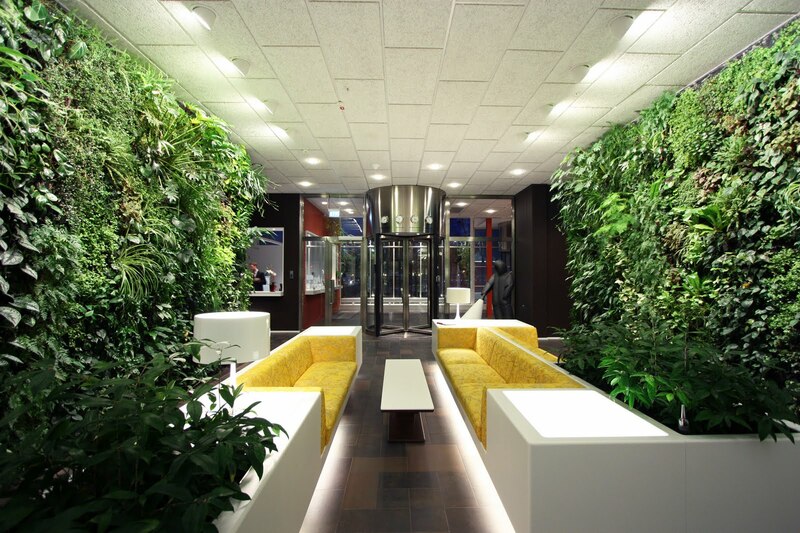 Fantastic vertical indoor garden design by Swedish vertical garden designer Michael Hellgren for AstraZeneca in Sweden. 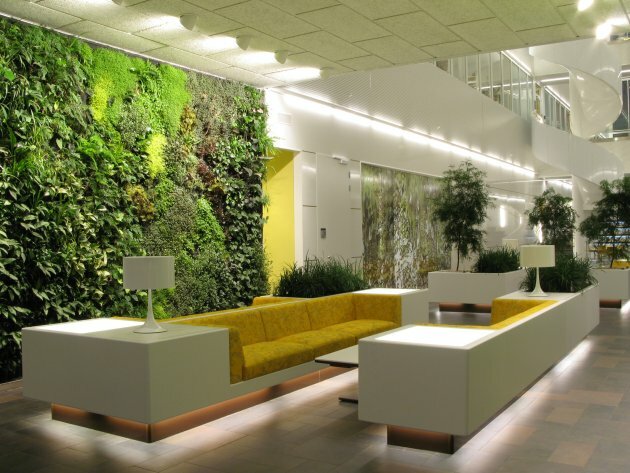 In this new office building of AstraZeneca, two plantwalls are located to the entrance. Being opposite to each other they create a peaceful passage. 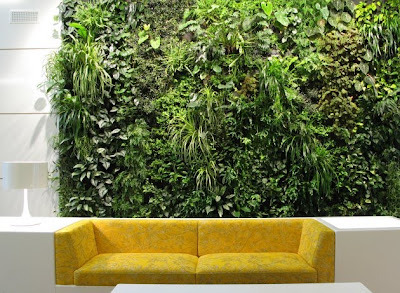 Architect is Swedish architect firm Lomar Arkitekter.